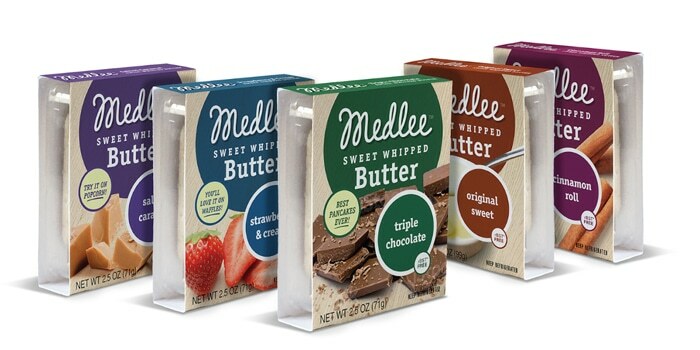 After serving as COO for Mexican-made-easy brand Frontera Foods, Albert Valdes launched seasoned butter brand Medlee Foods in 2017 to explore other ways to help consumers get flavorful meals to the table faster. The company has since grown to be sold nationwide. In February the company added distribution in Vons, Pavilions and four Safeway divisions (Eastern, Northern California, Portland and Denver) building upon the brand’s existing presence in other Albertsons’ banners, Jewel-Osco and United. At Expo West the company debuted two new products: sweet butters in salted caramel, strawberry and cream, chocolate, original sweet and cinnamon roll as well as four plant-based butters in pesto, roasted garlic, sundried tomato and lemon chive. The company announced today that Northeastern retailer Wegmans had picked up three of the vegan butters to stock in the dairy set. Founded with a commitment to produce less processed snack food products, JUNKLESS (formerly known as Simply 8) markets a line of chewy granola bars free of artificial colors and preservatives, hydrogenated oils and high fructose corn syrup. At the end of February the brand added more than 750 stores across the Midwest and East Coast. The retailers, which include ShopRite, Kroger, and HyVee, are a result of the brand’s focus on building a presence in conventional retailers, the company said in a release. Food Lion accounted for roughly half of the brand’s additional doors. Founder Ernie Pang, who previously worked for Kellogg’s, believes the company has been well received by retailers because it offers shoppers an easy alternative to a conventional snack staple. 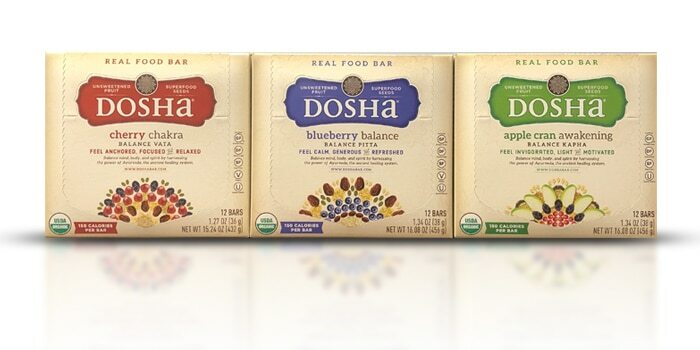 “Mindful” snack brand Dosha Bar has added 70 Big Y stores to its roster. The Ayurvedic-inspired bar is gluten-free, vegan and paleo. Before this pickup, Dosha Bar was sold in the North Atlantic region of Whole Foods Market, select Roche Brother stores and independent retailers in the North East. The brand also unveiled a new design last month. Founder and CEO Josh Ehrenfried told NOSH that the rebrand was designed to attract attention on the shelf, an issue the brand had struggled with in the crowded bar set, and better communicate the bar’s defining features and flavors. After two years spent refining its product line, plant-based seafood company Good Catch is now headed to store shelves. 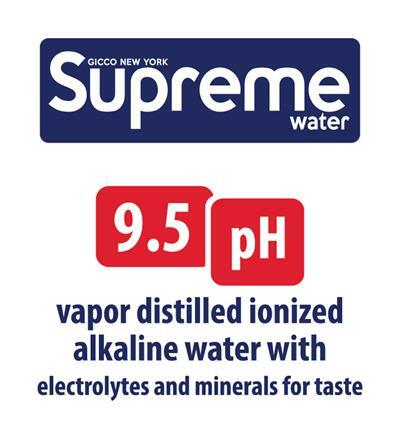 The brand announced in late February that it had netted its first retailers in Whole Foods Market and ecommerce retailer Thrive Market. 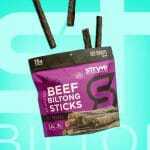 Good Catch, which raised an $8.7 million round of funding last August, has highlighted both its frozen meals and fish-free “tuna” at trade shows, the latter of which will be on the market first. Available in plain, mediterranean and oil and herbs, each 3.3 oz package will retail for $4.99. Good Catch co-founders Chad Sarno and Derek Sarno previously served as Whole Foods Market’s global healthy eating coordinator and senior global executive chef, respectively. Consumers are increasingly concerned about traceability and sustainability, especially when it comes to seafood which has been plagued with reports of falsified fish. 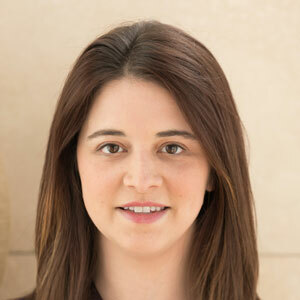 Meal kit providers, which have a captive audience, believe they may have a unique opportunity to educate consumers and expose them to new fish species. 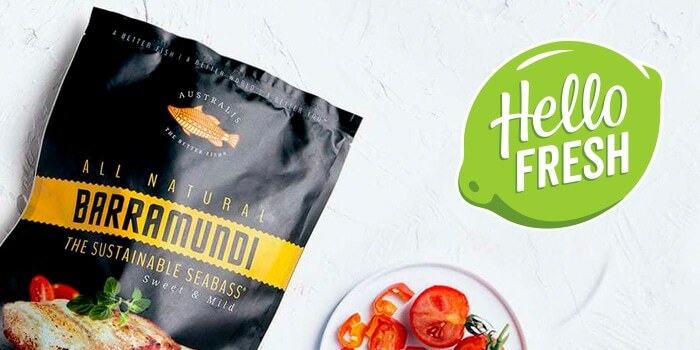 To achieve this goal, meal kit provider HelloFresh announced that it would partner with Australis Aquaculture, which sells frozen, packaged barramundi in retailers such as Whole Foods Market, to add the brands’ fish into two of its meal kits. Starting in February, HelloFresh offered its consumers the option of lemon butter barramundi with pistachio rice and chili-roasted carrots as well as seared barramundi with lemon-horseradish sauce, potato wedges and apple salad. HelloFresh previously announced a partnership with the Monterey Bay Aquarium’s Seafood Watch. The meal kit company committed to only using seafood that is rated by the organization as “Best Choice” or “Good Alternative” or that is eco-certified to a standard recommended by Seafood Watch. According to a press release, in 2014 Australis Barramundi was “the first marine-farmed fish to earn the Best Choice rating” by the organization. In other meal kit news, Kroger has expanded the availability of Home Chef’s retail meal kits into 500 more Kroger stores. The retailer acquired the meal solution provider in May 2018 and began bringing kits into its stores in the fall of that year. Each Home Chef meal serves two and pricing starts at $17 a kit. The meals, which rotate in-store, include pre-portioned ingredients and simple recipes. The Home Chef Express Meals are designed to be prepared in 15 minutes or less. Kroger online shoppers are also able to order the kits for delivery. In-store sales have proved to be a boon for several meal kit providers. Last year meal kit company Chef’d was acquired after shuttering and just recently relaunched solutions for retailers to stock on shelves. Last year craft ice cream brand Coolhaus announced it would move into the plant-based dairy space. Now the company has announced the first retailer for the line, Whole Foods Market. The natural products retailer added the brand’s plant-based pints and ice cream sandwiches. In the past two months avocado-based ice cream brand Cado has added retailers including Market Basket, Wegmans, the Rocky Mountain and Mid-Atlantic regions of Whole Foods Market, and a selection of WalMart stores. The ice cream company also picked up additional Target stores, bringing its total store count with the retailer up to 500 doors. Candy Brand Ocho has launched a line of Easter themed chocolates. The line will be sold in over 1,400 Target locations as well as select supermarkets. For the holiday OCHO offers bags of individually wrapped chocolate eggs with caramel or peanut butter filling. Wellements, which provides clean supplements, vitamins and products for babies and young children, launched children’s sore throat pops at Expo West. Now the brands’ complete line of remedies is launching into CVS, Walmart, Albertsons and Safeway.